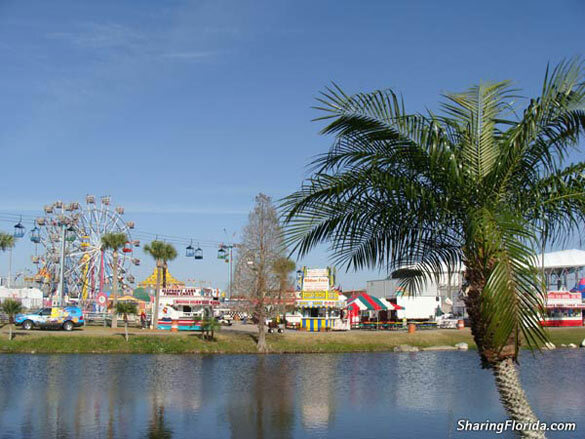 Photos and information from the Florida State Fair in Tampa. These photos are from February 2008. Fun for the whole family. This is an annual family event and offers a variety of things to do. For those thrill seekers the fair has over 100 rides to choose from. For those that like a more relaxing trip to the fair you can visit Cracker Country which is a rural living history museum that features 13 original buildings from 1870-1912. Of course the fair food is delicious and not so healthy from corn dogs, funnel cakes, elephant ears, strawberry shortcake and so much more. Prices for 2008 was $10.00 gate enterance for adults $5.00 for kids 6-11 and if you went on a pepsi armband day you can ride all the rides unlimited for $25.00 each person. Definitely an event that is highly recommended.